If there was one thing apparent in the Red Sox quick exit from the Postseason this year it was that while they had the offense to contend with any team in baseball, they were missing the rotational depth to compete with the more well rounded contenders like Cleveland and Toronto. They just completed the biggest deal possible to change that. Already with the Cy Young winner Rick Porcello and the incredibly expensive David Price, the Red Sox have added arguably the best pitcher in the American League, Chris Sale in exchange for Yoan Moncada, Michael Kopech, and two other prospects. Sale is under contract for the 2017 season at $12 million and has favorable team options for each of the next two seasons at $12.5 million and $13.5 million, and was by far the biggest pitching name on the market by far (just as Price was last year). While his ERAs of 3.41 and 3.34 over the last two seasons and his overall record record of 30-21 may not impress on the surface, it’s important to note that he has been pitching in front of the White Sox. In 2016, Chicago scored just 686 runs, 11th in the AL and allowed seven more runs than the average AL team on defense. Sale won’t likely deal with these issues in Boston as the Red Sox scored 100 more runs then the next best team in the AL and was the fourth best team defensively. The Red Sox didn’t have to hurt their offense or defense by trading from the major league team, but the cost was still significance. 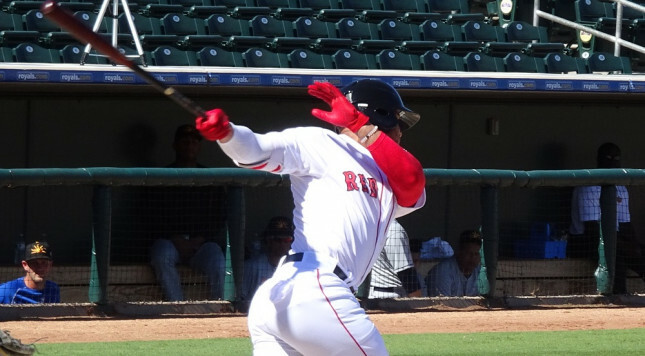 Yoan Moncada may not universally be the best prospect in baseball, but he is unquestionably in the top ten and number one in the Red Sox system. A .923 OPS in Advanced A this year saw him promoted to AA in his second season in the US, then he hit for a .910 OPS there and made his MLB debut for Boston as a September call-up. The Cuban immigrant is only 21 years old, but could be able to contribute at the major league level as a starting infielder sometime in the second half of 2017. Kopech, a first round pick in 2014, is not quite the prize that Moncada is, but he is still generally considered a top 100 prospect in baseball and a solid right handed starting pitcher option. He had the best season of his three years in the Sox minor league system in 2016, making 12 starts with a 2.08 ERA and 13.7 K/9, mostly in Advanced A Salem. He won’t turn 21 until next Spring, but seeing how fast the White Sox have advanced other starters, including Sale and Carlos Rodon, it wouldn’t be surprising if they jumped him straight to AAA and had him in the majors by next year. This move will help shore up the rotation for the White Sox in the long haul and the infield immediately. It will also make it easier should they decide to trade Todd Frazier, who has just one season of team control left. While the move does a lot to move the Red Sox from fringe contenders in 2016 to favorites in 2017, their future at third base has now been brought into question. Earlier today, they sent Travis Shaw to Milwaukee to bolster their bullpen and now the heir incumbent is gone as well. This pair of moves should make the Red Sox the team to beat in the AL, but unless they also extend Sale, the benefits will be fleeting.